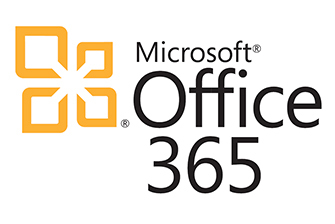 Current students and staff with @nnmc.edu e-mail addresses can now obtain free licenses of Microsoft Office 365 as part of Northern New Mexico College’s agreement with Microsoft. Our agreement allows students and staff to install Word, Excel, PowerPoint, Outlook, OneNote, Publisher, and Access on up to 5 PCs or Macs and Office apps on other mobile devices including Windows tablets and iPads®. The plan also includes 1TB of OneDrive storage, managed by Northern New Mexico College. If you are eligible, you can use the plan until you graduate or are no longer enrolled or employed at Northern New Mexico College. Eligibility may be re-verified at any time. At expiration, the Office applications enter a reduced-functionality mode, which means documents can be viewed but it isn’t possible to edit or create new documents. In addition, online services associated with your Northern New Mexico College e-mail address, for example Office Online and OneDrive, will no longer work. An Internet connection is required to download the software. Navigate to http://www.office.com/GetOffice365 in the Internet browser of your choosing. Enter your @nnmc.edu e-mail address at the resulting screen. Next, select "Student" if you are a student and select "Teacher" if you are staff. An email will then be sent to you for verification purposes. Click "Yes, that's me" in the email from Office 365 Education to continue. You will then be taken to a screen where you will need to fill our your name and create a password, then click "Start". The next screen will present you with download options for Microsoft Office. Select “Install” to be brought to the software download page. If you have previously downloaded and installed Microsoft Office on another computer through this account, it will be listed on this screen. Click the “Install” button and run the downloaded file to install Microsoft Office.